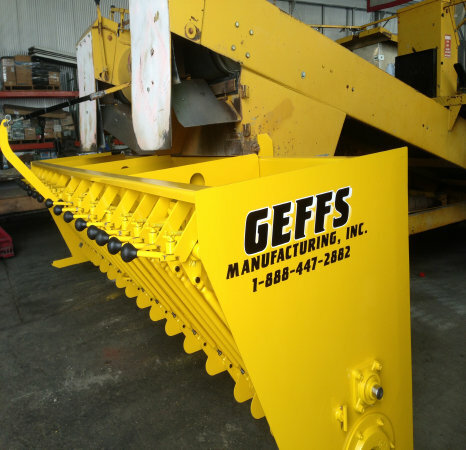 GEFFS Manufacturing, Inc supplies replacement fixed width chip spreader hoppers in a variety of widths. 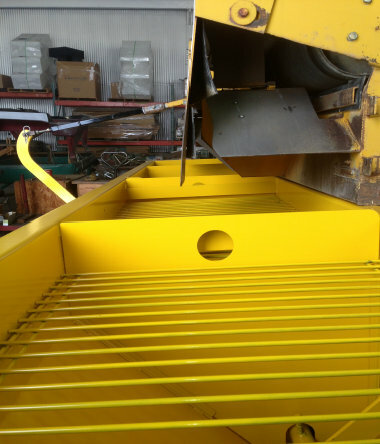 We can supply you with the chip spreader hopper needed for your Flaherty, WH or GEFFS machine. Our chip spreader hoppers are designed to give you many years of service. Our radial gates are constructed of wear resistant steel. Our spread rolls and agitator shafts are easily replaceable. The hoppers are all welded construction. We prime and paint these hoppers. All parts are readily available from GEFFS Manufacturing, inc.. Fixed chip spreader hopper configurations vary dependent upon width and machine size. 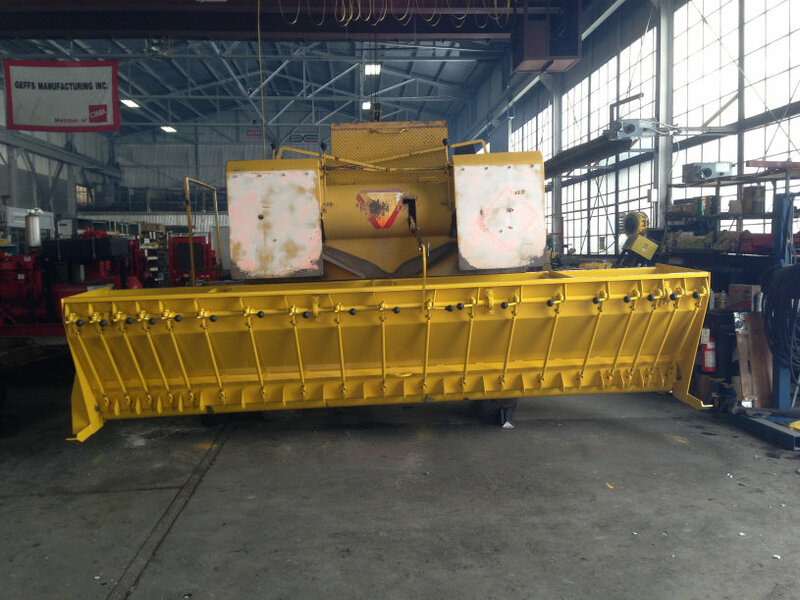 We insure the hopper is configured to fit your chip spreader. To insure proper fit give us your serial number and the width of the front of your machine where the hopper upper hangers lock to the machine pins. L6" L6" L 6" L6" L6" L12" L 12" L12" L12" C 12" C12" R12" R12" R12" R12" R6" R6" R6" R6"
New grizzly screens included with hoppers. Hoppers are built from the ground up by USA workers. Chip spreader brought to GEFFS for a new hopper.